Welcome to American Micro Products, Inc. Since 1957, American Micro Products, Inc. has been a well respected leader in the field of precision machined components. 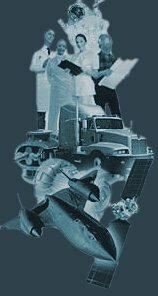 Our global expertise and capabilities in micro and high precision manufacturing has allowed us to uniquely serve a variety of high-technology markets including: aerospace, diesel/off-road vehicles, fluid power, medical/dental devices and more. With over 50 years in the manufacturing business, we have invested in technology and assembled what we believe to be the key elements of a successful organization in meeting the needs of our customers and partners, world wide. First and foremost, is the role our employees play in this success. Take a closer look at American Micro and discover why many of the world's leading manufacturing companies come to us for their most challenging component production applications. 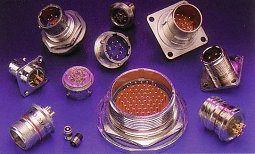 American Micro Products, Inc. (AMPI) manufactures circular, glass-to-metal, hermetically sealed electrical connectors. AMPI is on the DLA Qualified Products List (QPL) for MIL-DTL-38999 series I, II and III, MIL-DTL-83723 series III and MIL-DTL-26500. We also manufacture commercial equivalents to MIL-DTL-5015 and MIL-DTL-26482, as well as custom connectors, feed-thrus, headers and hermetic packages.